Well it was a fun final day for the golf last week, although it could have worked out a lot better. It was nice to get that one. It also went right down to the wire as well and he could have won for a huge payday for us but oh well we’ll take the place. 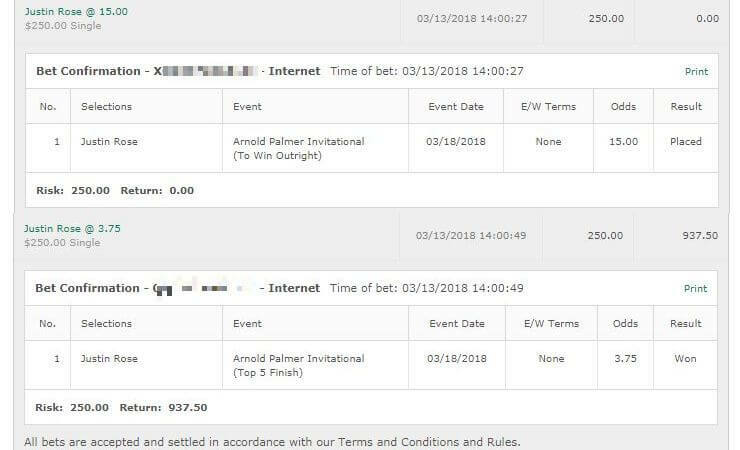 Sadly a profitable week was ruined by Danny Willett – who I actually ended up betting 1.5 units on after feeling extremely confident on him and due to the price. The 18/1 golfer looked like he might actually win the tournament after a -6 first day. he shot -1 the next day, +2 the 3rd day and then couldn’t even get us a place with a horrific +5 the final round. If he had shot even a par there he would have been the lone 5th place and got us the each way cash so that was disappointing. Oh well – onwards and upwards. Good to get one win at least and to have another come so close. A lot of eyes will be on the BMW PGA Championship but this week there is quite the field at the newly named Dean & DeLuca Invitational, with the likes of Jordan Spieth, Matt Kuchar and Zach Johnson participating. Known within golf circles as the Colonial, it used to be the Crown Plaza Inviational at Colonial, and before that the Bank of America Colonial. It takes place at the Colonial Country Club in Fort Worth, Texas. Historically course form seems to matter – like Zach Johnson and his 4 Top 5 finishes in a row, or Chris Kirk and his win last year and 5th place finish a couple years prior. The first bet I am going to make is a half unit bet on Chris Kirk to win & E/W. Kirk is coming into this with some solid form in the last couple months. A 9th place finish at the WGC Match Play, two Top 25 finishes at the RBC Heritage and Texas Open, and a 5th place finish at the Zurich Classic. Kirks had some solid form here as mentioned and has a couple of Top 20 finishes here as well. I feel comfortable betting on Kirk this week. 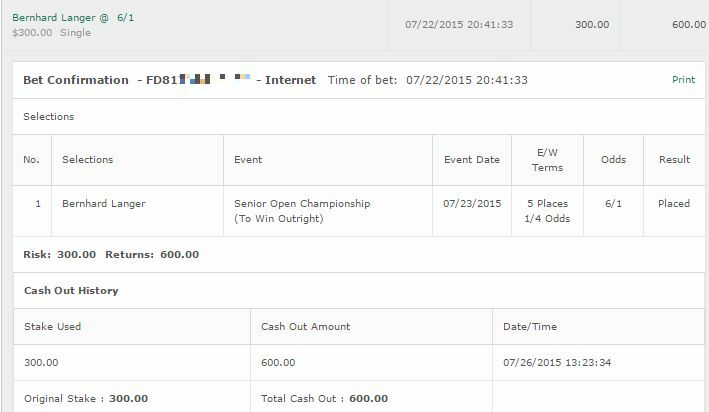 I’m also betting a full unit on the 6/1 Jordan Spieth to win. Spieths game has been off but this course really suits him and his putting. Spieth was 2nd here last year and I dunno – I just have a really good feeling about him this week, despite some of his recent performances. Finally a quarter unit bet on 2011 winner David Toms and same on Ben Crane who are 150/1 and 200/1 respectively. Their form here is fairly solid but more importantly I think they’re coming into this on-form. 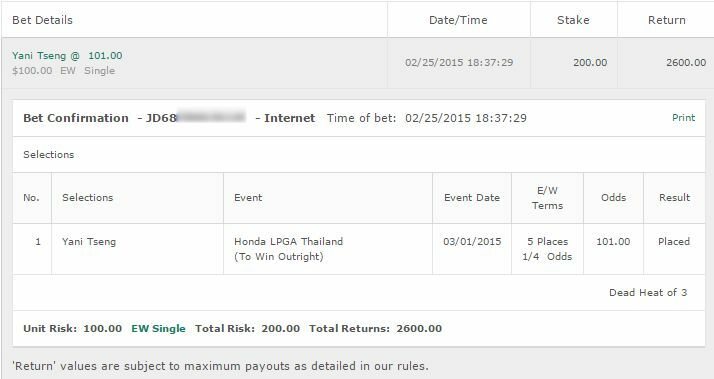 While both golfers will need a lot of luck – hence the big odds – I’m fine with it. Hopefully we can have another nice win. I have to bet a quarter unit on him this week. His course form is excellent and even though he’s not killing it at the moment – I’ve got to back him. To win & E/W. I’m also placing a half unit on Francesco Molinari to win & E/W. Some solid form lately and some solid course form as well makes him a contender. My final bet is on the German, Martin kaymer for a quarter unit. He’s been solid if unspectacular here but I’ve liked some of his performances lately and think he can follow up from his Irish Open performance. He had a spectacular final day there.